Published to accompany the exhibition at the current Brighton Photo Biennial, The Archive of Modern Conflict’s latest journal casts light on the dark and vicious era of Italy’s 'Years of Lead'. Tim Clark takes a look at this rich and tautly edited photobook. A small, jaunty Giulio Andreotti stands flanked by his cronies, arms folded, eyes hidden behind sunglasses. His gesture may seem passive but this man was at the dark heart of post-war Italian politics. 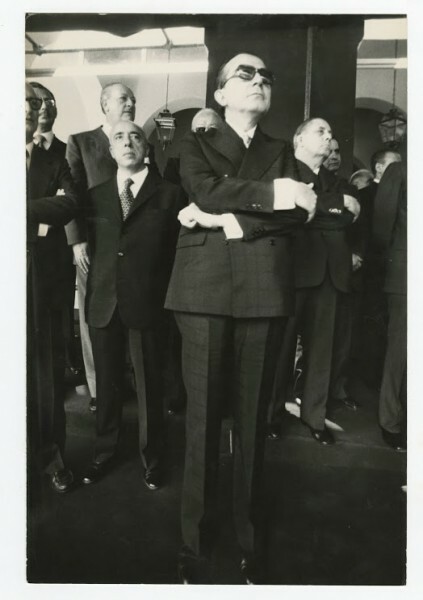 Italy’s 41st prime minister and leader of the Christian Democrat Party, he occupied all the major offices of state during his career as a politician that spanned almost half a century. 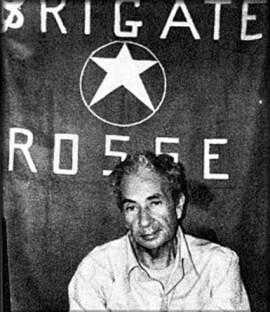 All the while, Mafia associations, a trial for the murder of a journalist, P2 Masonic Lodge dealings and accusations of playing a major role in the death of left-wing politician Aldo Moro saw him up to his neck in numerous corruption scandals. The image is as good as any to set the tone for Amore e Piombo: The Photography of Extremes in 1970s Italy, published to coincide with an exhibition curated by Roger Hargreaves and Federica Chiocchetti for this year’s Brighton Photo Biennial. Brimming with tension and mystery, more than 120 press photographs from the former Rome agency Team Editorial Services have been brought together in a stroke of editorial mastery, providing a glorious romp through the country’s tumultuous ‘Years of Lead’ (Anni di Piombo), a period of riots, kidnappings and domestic terrorism from both the extreme left and right. 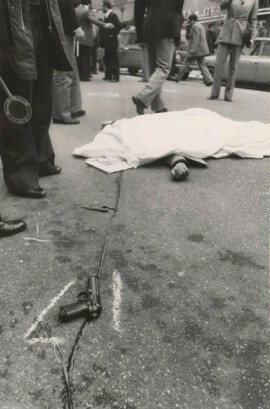 Featured images include distraught onlookers at the scene of the Aldo Moro kidnap, his bodyguards shot dead; women injured in the Piazza Fontona bombing on the Banca Nazionale dell’Agricoltura; and arson attacks on neo-fascist offices. Yet this chaos and bedlam is brilliantly offset against its opposite: the freedom and dazzle of celebrity lifestyle present in images such as Brigitte Bardot leaving her hotel in Rome during the filming of Les Femmes or director Pier Paolo Pasolini in an actors’ football team. In between, there are shots of pro-abortion rallies, hippies on statues and transvestite cabarets. All are fragmented and anatomised to show facets of essentially the same thing: that immense accumulation of spectacles. Open this book, be amazed by the levels of scandal and conflict – the ultimate Paparazzo fodder – but don’t forget the part they played as unwitting accomplices in stirring up the conspiracy and counter-conspiracy that defined 1970s Italy.